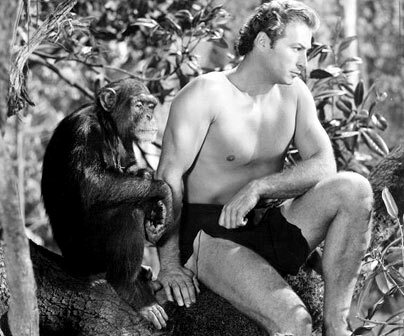 Remember those old Tarzan movies? Tarzan would swing through the trees and when his vine reached its arc, lo and behold another vine would appear. That’s a thing you won’t see in nature. In order to pull off the effect Hollywood had a “Vine Man” off camera, a man of precision, like the page turners who sit beside pianists. You see, Tarzan had a reasonable accommodation. If you’re job is to yell and swing, half naked through branches, you’ve got to have a paid assistant. My point, such as it is, is that the American workforce can stand to learn a great deal about the history of accommodations–not merely as they relate to people with disabilities, but as a sign of progressive and utilitarian teamwork. The prevailing notion that a person with a disability is a singular defective “unit” who requires something extra runs counter to the history of human work. Just ask old Tarzan.